FLOWERY BRANCH, Ga. — The Atlanta Falcons have agreed to a $69 million, five-year contract extension with cornerback Desmond Trufant, locking up another key member for the team that won the NFC championship. The deal was Atlanta's top priority of the off-season and includes $42 million in guaranteed money. General manager Thomas Dimitroff says the 2013 first-round pick "has improved each year and we believe his best ball is still in front of him." Last season, Trufant played nine games before going on injured reserve with a pectoral injury, missing the team's run to the Super Bowl, where they lost in overtime to the New England Patriots. 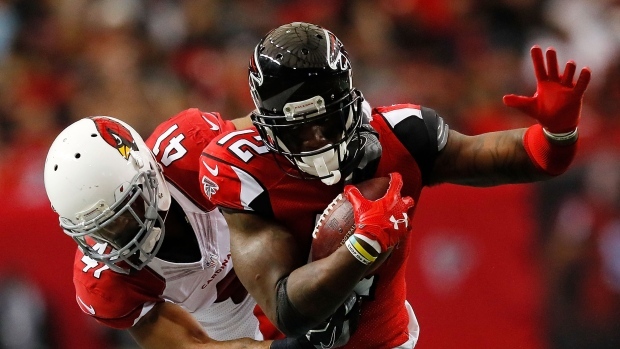 Trufant, a 2015 Pro Bowl selection, becomes the ninth player the Falcons have either re-signed or extended going back to last season, including cornerback Robert Alford and offensive tackle Ryan Schraeder.